You can use this reversible quilt to stay warm and cosy all through the night. Crafted from superior quality material, it is easy to maintain. 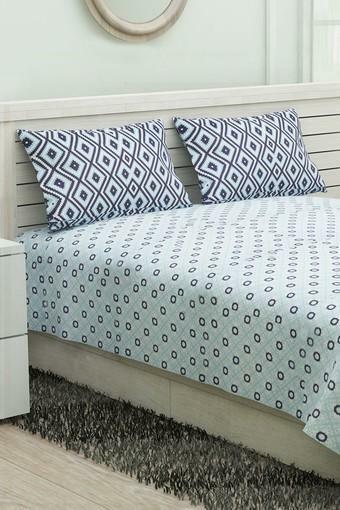 It also has a geometric pattern that is further accentuated by a nice combination of colours. Snuggle up with this beautifully tailored reversible quilt brought to you by Ivy.